Eye supplements play a role in maintaining eye health because of the requirement to replenish your eyes with nutrients either naturally or artificially. It is sometimes not possible to have a diet which is always full of the vitamins, minerals and pigments that are so important for your vision. This is where nutritional supplements come in. Please make no mistake - supplements are no substitute for the natural sources of nutrition. So just because you take eye supplements does not mean that you can stop eating a healthy and balanced diet. The AREDS (Age-Related Eye Diseases Study) clinical trial sponsored by the National Eye Institute of the United States. This major trial found that very high levels of antioxidant and zinc consumption may reduce the risk of developing age-related macular degeneration by 25%, depending on the individual's risk profile. While daily intake of the AREDS formulation does not cure macular degeneration, it certainly plays an important role in reducing the rate of advanced age-related macular degeneration. 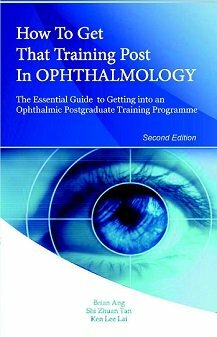 There is ongoing research to evaluate whether these preparations possess other benefits to eye health, such as in preventing cataract. The AREDS study is the only major clinical trial so far to demonstrate a clinically significant effect of antioxidant supplements in the prevention of age-related macular degeneration (AMD). Note that the doses contained in these supplements are much higher than the recommended daily allowance. Therefore, the usual multivitamins and minerals are unable to provide the same level of protection. If you intend to take supplements for your eye health, you should specifically ask for supplements that contain the AREDS formulation. The AREDS 2 study is now underway, looking at the role of lutein, zeaxanthin and omega 3 long-chain polyunsaturated fatty acids in the prevention and treatment of macular diseases. Despite the high doses contained within these eye supplements, only minor side effects have been reported. 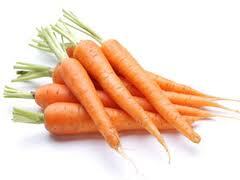 These include yellowing of the skin and urinary tract problems. So far, there have not been any reported adverse effects on the eye from the high doses contained within the AREDS formulations. If you are in any way concerned about the the possibility of these doses affecting your general health or interacting with your regular medications, please contact your general practitioner or family physician for medical advice before commencing these supplements. There are now newer eye supplement preparations that include extra antioxidants such as lutein, zeaxanthin, megazeaxanthin, omega 3 fatty acids, selenium and bilberry, in addition to the AREDS formulation. Currently AREDS 2 is investigating the role of lutein, zeaxanthin and/or omega 3 long-chain polyunsaturated fatty acids (docosahexaenoic acid and eicosapentaenoic acid) in the prevention of macular diseases. The results are keenly awaited, and it is generally accepted that these will also provide additional protection to the retinal photoreceptors from oxidation damage. Beta-carotene is found in foods such as carrots and sweet potatoes, and is thought to have a protective effect against cancer. However, it is paradoxically associated with an increased risk of lung cancer in smokers and ex-smokers. This may be due to smokers already being highly susceptible to developing lung cancer. While the AREDS studies focuses on macular degeneration, other eye supplements are available that may be beneficial for other eye conditions. These supplements include ginkgo biloba, turmeric and selenium. Ginkgo biloba is an antioxidant that protects against free radical damage in the eyes. Additionally, it also increases blood flow to the optic nerve without altering overall blood pressure, heart rate or eye pressure. There is therefore great interest in its potential protective effect against glaucoma, especially low or normal pressure glaucoma. It may also be beneficial for treating dementia. 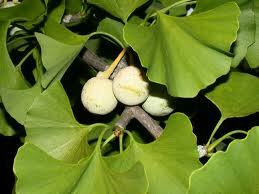 However, ginkgo biloba is associated with an increased risk of bleeding. So please make sure you consult your family physician if you wish to start taking ginkgo biloba supplements. 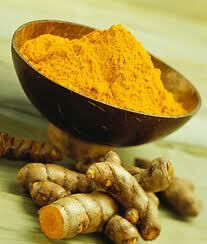 Turmeric (Curcuma longa) is an antioxidant that can help to boost the immune system. The results from a small (but not very well designed) study suggested that turmeric was able to help reduce the symptoms of chronic uveitis. As with gingko biloba, turmeric can also increase your risk of bleeding. If you wish to supplement with turmeric, please consult with your family doctor first especially if you also take aspirin or warfarin to thin your blood. Selenium is an essential micronutrient. Trace amounts of selenium are necessary for the function of various cells and tissues. Its role in macular degeneration is currently being investigated in the AREDS 2 study. The large EUGOGO (European Group On Graves’ Orbitopathy) trial found that a daily intake of selenium 50 micrograms could significantly improve the quality of life for patients with mild active thyroid eye disease. No side effects were seen at that dose. However, selenium is also associated with an increased risk of type 2 diabetes. Note also that large doses of selenium are toxic to your health. Selenium toxicity will cause damage to your liver, lungs and nervous system. It has been recommended that the daily dose of selenium not exceed 400 micrograms daily. It can be difficult to know for certain which supplements would work best for you. If you are unsure of which eye supplements to take, please consult your ophthalmologist for further advice. Always remember that there may be potential side effects, so do not take more than what is recommended. Have A Great Eye Health Maintenance Tip? Do you have a great health tip to maintain the health of your eyes and vision? It doesn't matter if it is not recognized or recommended by your doctor - in fact, that's even better! Why not share it with other readers?